Isn't it wonderful that a project turns into something you enjoy? Absolutely it is. I think what I wrote on my about.me page represents the situation, that when your job is your passion, then it's very perfect combination. 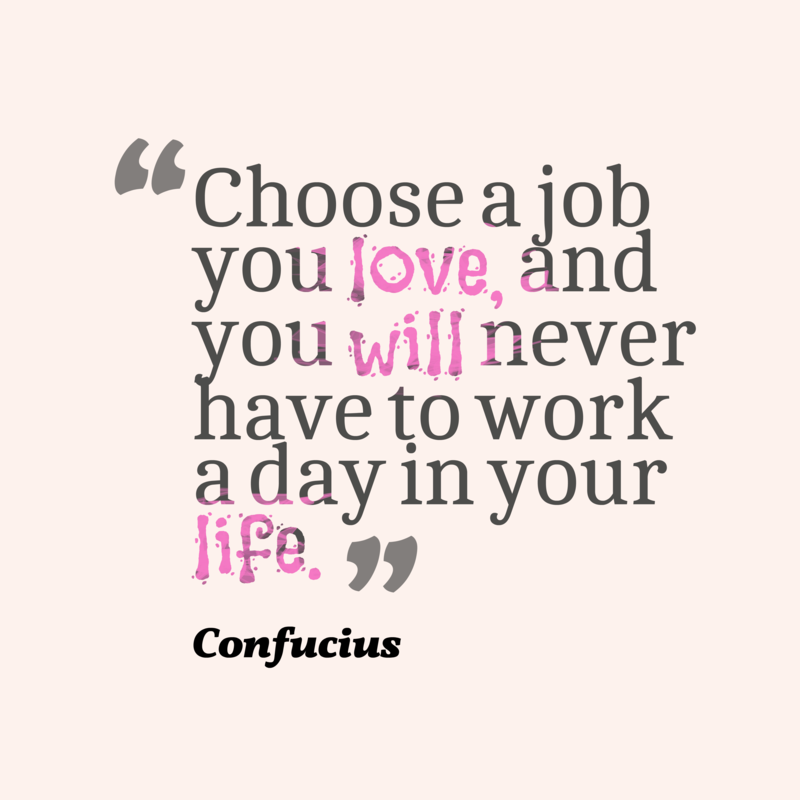 Or yes, just like an exquisite quote from Confucius, "Choose a job you love, and you will never have to work a day in your life". Day 2 of the online observation has elevated *or re-elevated* my passion of blogging. I almost forget that the reason I changed my blog url was to keep me blogging. Yet the quantity of the posts in this very blog has been decreasing sooo significantly: 237, 118, 19 from the last three years. Thank God that this project, in the second day of doing the online observation, I realize that blogging is maybe the only passion which can keep me 'alive'. First, I salute the students who chose to write their own experience while some others only copy and paste other people's work. 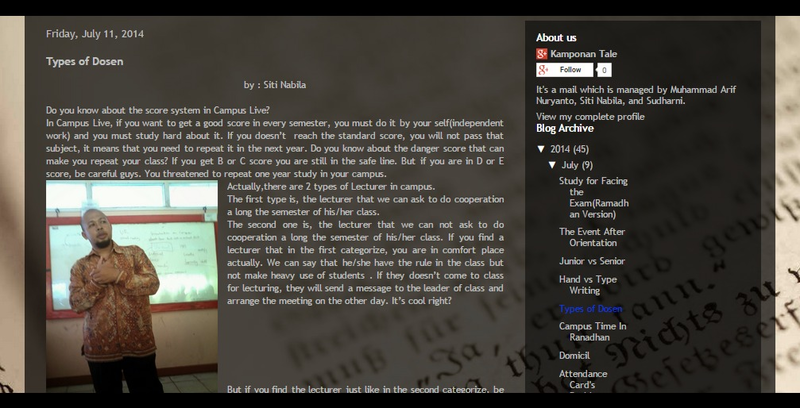 Second, exploring self-experience is not something that everybody can do, so I respect to both of the students whose writing I posted. 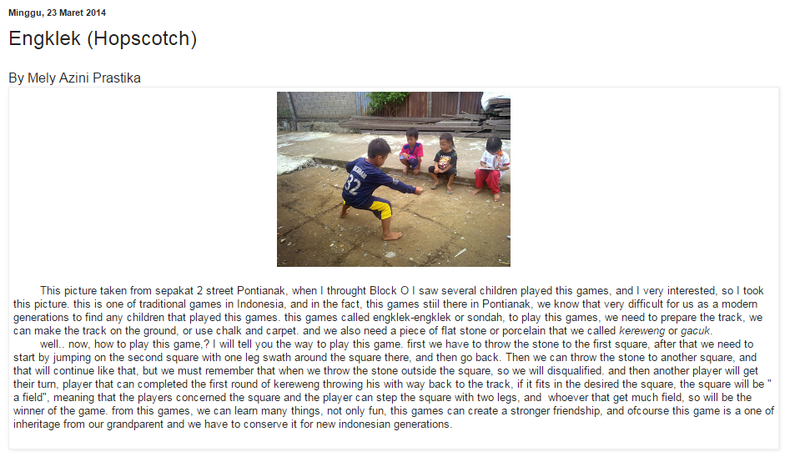 Absolutely I will put the screenshot in my project paper. So, tomorrow I will go on the last day of online observation, and then begin to start writing. I should. Please somebody, keep asking me the progress of this project so I won't have a day of procrastination. Procrastinating results a guilty feeling. And I really I wish I had not procrastinated. No use to regret, though. Just go on with the project and keep making entries.